Nearly 20 years ago, Chris Moore had to unexpectedly hop on the back of a raft to guide a group of friends down California’s American River. 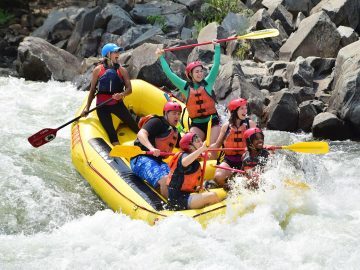 Little did he know, that was the unofficial “official” start to a long career in the rafting industry. 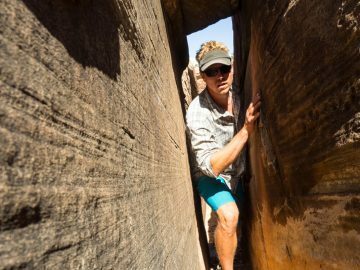 After putting his time in on rivers throughout the U.S., Chris is now OARS’ California Manager and calls the Tuolumne River near Yosemite home. 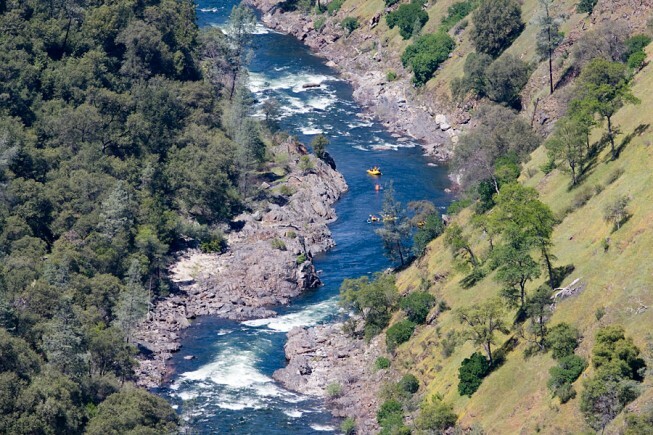 You unofficially started guiding on California’s American River, but have guided all over the U.S., right? 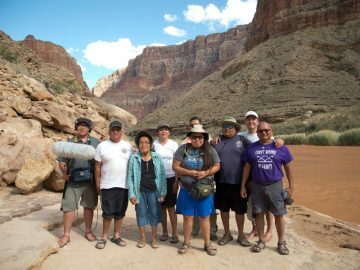 Yeah, I was guiding on the Arkansas River—the Royal Gorge, predominately—for five seasons. Also, Gore Canyon, which was about the toughest commercial whitewater in the state. I spent three fall seasons in West Virginia working on the Upper Gauley. Then, went out to Nepal and worked as a safety kayaker one winter, but was just really missing California and missing home. That was the big push to come back. You’ve been with OARS for 13 years now. What do you love most about your job? At one point in time it was the challenge of the whitewater, it really was. That was my motivating factor and why I showed up with a smile every day. That has since changed. 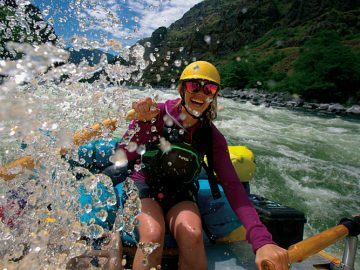 It’s beautiful scenery, exciting whitewater, stimulating conversation, making somebody smile…it’s kind of all that lumped into one. 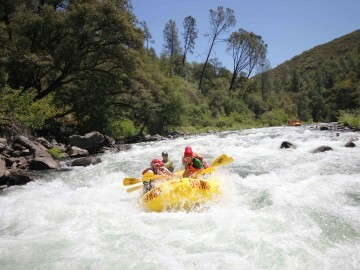 Do you remember your first Tuolumne trip? Absolutely. 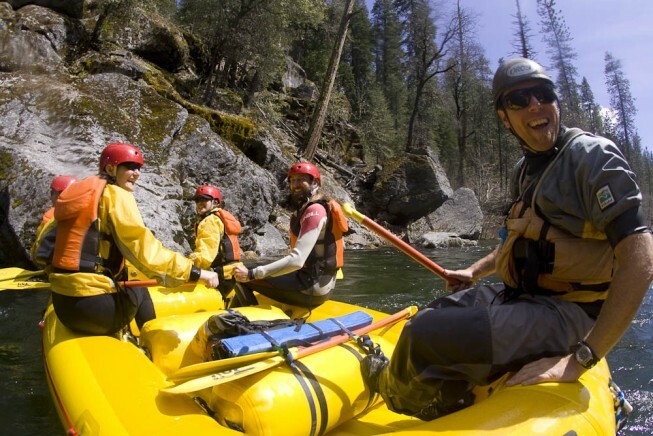 The first Tuolumne river rafting trip was me and my good buddy Jay McGuire. They handed us a boat and said, “Keep up.” Back in Colorado we had not spent much time rowing—it was an oar boat—especially in Class IV. And, as you do when you’re 26-years-old, you step up to the challenge, grab the sticks and go for it. Our first fun experience was in Evangelist, that water was running close to 3,000 cfs, which is a great level for the Tuolumne, and we ended up in a surf in this oar boat with wood and frame and everything flying everywhere. So it was a little eye opening. We only surfed when we meant to back in Colorado. 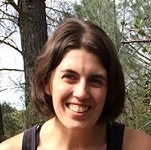 What is it about the Tuolumne that hooks people? It doesn’t really matter what the water level is, it’s always challenging, always exciting. There’s a great sense of accomplishment when you’re sitting at the bottom of Frame Crusher, Evangelist, or at the bottom of Clavey Falls. That gets the hook in the mouth. Is it your favorite? Or does another river have your heart? The Tuolumne is super special to me because I’ve spent, if we look at days, just under a year and a half of my life on the Tuolumne, and that’s pretty powerful. It’s a canyon that I’ve gotten to know very well. It’s almost like I’m going to see an old friend each time I get back. It’s just that knowing that would put it in my tops, if not my favorite. What do you enjoy most about spending time on the river? There is a certain aspect of responsibility that comes with being on the water, especially with being a guide, but it’s the other responsibilities in life that you get to shrug off for a moment. It’s a feeling of lackadaisicalness, you know? This article originally appeared in the OARS 2015 Adventures catalog. Order your FREE copy here.